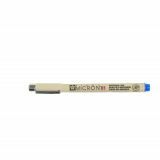 Pigma Fine Point Micron #01 Pen - SAKURA-Pigma Micron 0.25mm. This fine-point drawing and writing pen offers waterproof, quick-drawing pigment ink. Micron pens will not clog or dry up. Ink will not feather or bleed even through the thinnest papers and is smear proof once dry. It is fadeproof against sunlight or UV light and is permanent and washable on cotton fabrics. 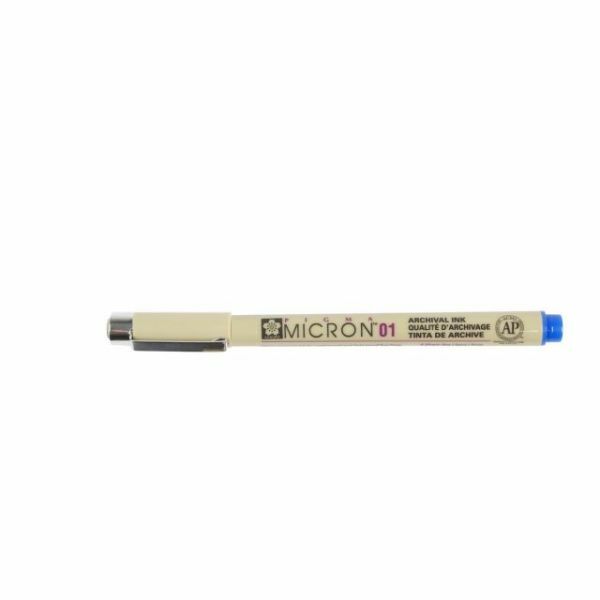 This package contains one Pigma Micron 01 pen (0.25mm tip). Available in a variety of colors: each sold separately. Archival quality and acid free. Imported.